What Goes Into Finding a Shipwreck? How does one go about finding a shipwreck? What is the process like? Depending on what is known about the wreck, it can be very simple or it can be quite challenging. So many factors go into finding a shipwreck. People who don’t know much about the business might not realize all that goes into finding and recovering cargo. The first step is gathering information. A recovery company might be approached by an outside party to recover a wreck, or they may have to do the legwork themselves. 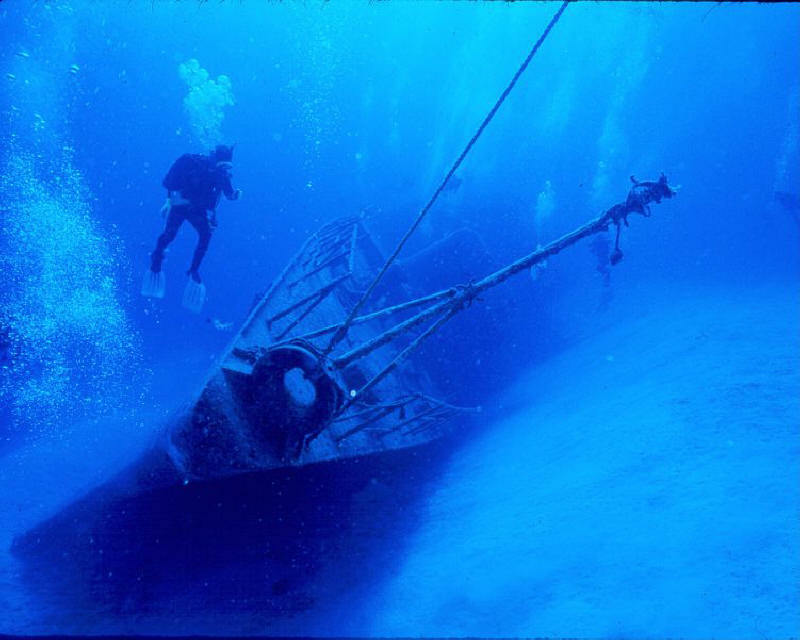 By researching and finding classified documents or visiting archives, the company can ascertain information about the wreck, its contents and whereabouts. In this stage, it’s important to do as much research as possible. A researcher would want to focus on finding proof of cargo, documents stating where exactly in the ship’s hold the cargo might be located, and any relevant info on the coordinates of the ship’s sinking. The next step is to scan the area and figure out exactly where the ship is. This can be very time consuming, since so many factors determine a ship’s final resting place. In the case of some ships that were sunk by U-boats or other vessels, the coordinates of sinking are sometimes marked at the location in which the ship was hit. From that point, the vessel might drift before actually going under. Currents can sometimes send the ship miles away from where it was initially thought to have landed. Sidescan sonar will need to be implemented and the crew may find it necessary to “mow the lawn”, which means to travel in a winding, back and forth motion with the sonar and cover every square foot. In the case of the Port Nicholson, Sub Sea spent an entire summer trying to find the wreck since it was nowhere near where the coordinates pegged it at. The next step is to determine whether the ship is, in fact, the one you are looking for. Sonar images can be compared to ship’s drawings and photos to narrow it down. The company should check to see what other ships have sunk in the area and compare their general shapes and sizes to that of the wreck they are looking for. The company will have to acquire a permit before they can spend any length of time at the wreck site or dive there at all. This may open up a number of legal issues that will have to be surmounted before work can continue. Depending on the depth and position of the wreck, the next step might differ. If the wreck is in relatively shallow water, it might be possible to send divers down. At the very least a remote operated vehicle could make a shallower trip; this might be a better option, especially if the wreck itself could pose a danger for divers to enter. In terms of deeper wrecks, a heavier class ROV will be needed, or the company could use saturation divers (divers who live in pressurized environments for periods of time in order to avoid the decompression sickness that comes with diving to great depths). Knowing where in the ship the cargo is located will save a lot of time. If the crew is familiar with the ship’s cargo holds, they can save time by entering directly into that area. Once any cargo is brought back to the surface, a company will have to acquire legal ownership of the treasure. This can be quite easy or a struggle that will last years. Sometimes legal issues will already be sorted out by the time this stage occurs. I am so looking forward to working with you guys. Hopefully sometime next week!